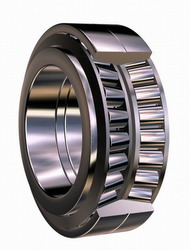 Owing to our high-tech modern infrastructure we are capable of trading premium quality Roller Ball Bearings. These products feature complex design, smooth operation, great strength and good abrasion & heat resistance. All features are derived from the finest grade of materials used in their fabrication at the vendor’s end. These vendors guarantee us unwavering standards of products at all times. We conduct stringent quality assurance tests on all products to assure the customers products that deliver maximum satisfaction through optimum performance.